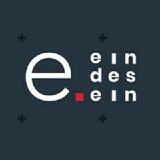 Ein-des-ein company provides a wide range of web design and development services for businesses. Specialising in WEB|MOBILE APP|IDENTITY services. Goodbye “MAD”, hello Ein-des-Ein! The rEvolution of the brand!